Residential and commercial central vacuum systems are becoming more and more universal, and it is no longer necessary to be locked into 1 specific brand if another brand will work just as well. Or in most cases our product will actually work better, and at a fraction of the cost than from your local central vac dealer. 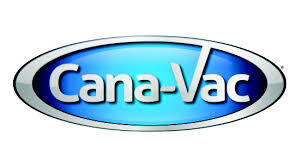 What Central Vacuum System is Best? Hide-A-Hose solves the problem of carrying and storing a central vacuum hose. Simply pull out the amount of hose you need and begin vacuuming. When you’re finished, the suction from the central vacuum power unit retracts the hose.